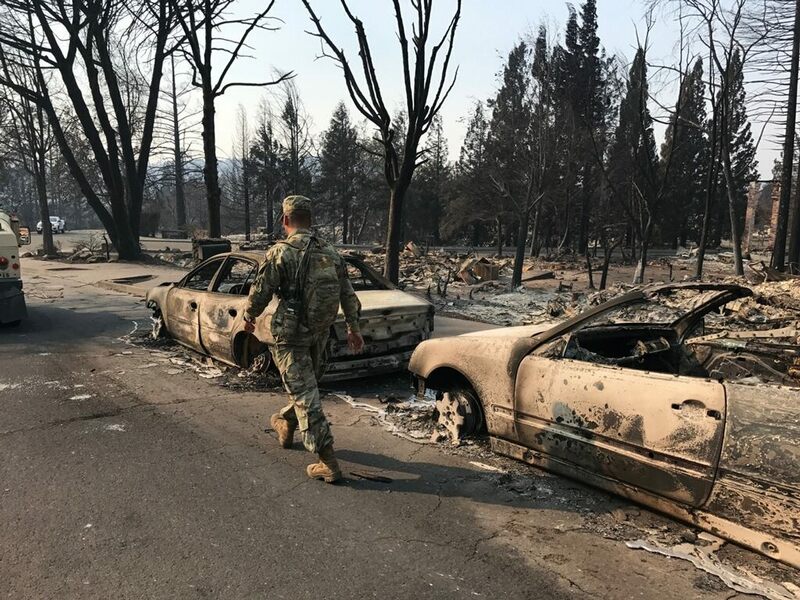 A member of the California National Guard searches the wreckage in Santa Rosa (Courtesy: California National Guard). In the wake of wildfires that devastated parts of California’s Wine Country last October, nearly 100 civil lawsuits were filed against Pacific Gas and Electric Co. alleging the utility had a role in sparking the blaze. The answer to this influx was civil case coordination, which joined the cases in San Francisco County Superior Court to avoid delays and the possibility that multiple judges might issue conflicting rulings. Similar petitions are under review for cases stemming from Ventura County's Thomas wildfire and the fatal mudslides in Santa Barbara County that followed. "In the aftermath of a disaster, the courts often become a third or fourth responder," said Chief Justice Tani G. Cantil-Sakauye. "Coordinating civil cases allows the courts to move more quickly, ensure consistent rulings, and in some cases, increase the possibility of a settlement." The largest number of petitions to coordinate cases submitted to the Judicial Council are "wage and hour" disputes, such as cases filed by workers at Chipotle Mexican Grill alleging wage theft in stores across the state. Others include product liability cases alleging harmful side effects from prescription drugs, environmental claims, or securities cases involving investment losses. Plaintiffs or defendants in complex civil cases—that share many or all of the same facts but are pending in different counties—file a petition to coordinate their cases. The petition is submitted to the chair of the Judicial Council, Chief Justice Tani G. Cantil-Sakauye, who assigns a court to rule on the petition. If that court grants the petition, the Chief Justice assigns a trial court to hear the coordinated case (usually in the venue recommended by judge who granted the petition). "In the aftermath of a disaster, the courts often become a third or fourth responder."